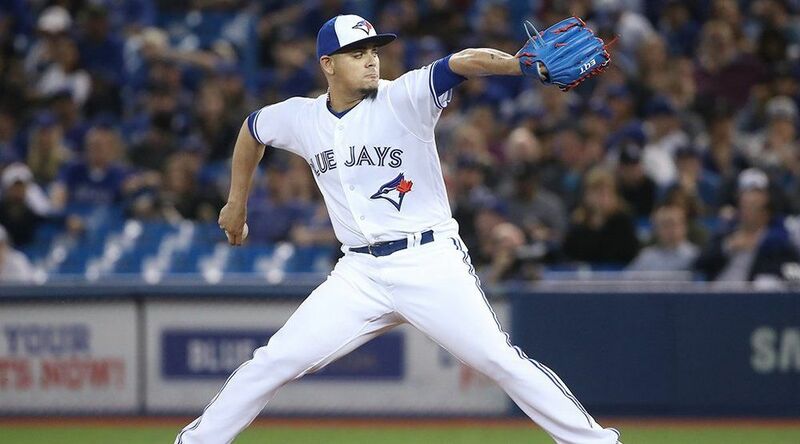 The Toronto Blue Jays have dealt closer Roberto Osuna to the Houston Astros, ahead of Tuesday’s trade deadline. In return, the Blue Jays receive a trio of right-handed pitchers, headlined by 27-year-old reliever Ken Giles. Toronto also receives minor leaguers David Paulino (24) and Hector Perez (22). Osuna is the latest player to be dealt by the Blue Jays, who are having a fire sale of sorts, given they’re 13.5 games back of a playoff spot. The team sent JA Happ to the Yankees and Seunghwan Oh to the Rockies last week. While those players are in the twilight of their respective careers, Osuna is not. Just 23 years old, the 2017 MLB All-Star has been a key contributor for the Blue Jays over the past three seasons. The problem with Osuna is off the field, where he was arrested and charged with assault in May. He was suspended by Major League Baseball and hasn’t played a game for the Blue Jays since. The Blue Jays were faced with the conundrum of selling low on an All-Star calibre player or face the moral dilemma/PR nightmare of welcoming him back. Though he has struggled recently, Ken Giles has a lifetime ERA of 2.72 with 2.25 FIP, 12.0 K/9, 2.8 BB/9. Giles has pitched five seasons in the Majors, with Philadelphia and Houston. This season he has a 4.99 ERA, with 12 saves in 30.2 innings pitched. That’s a far cry from the 2.30 ERA he had in 62.2 innings last season. RHP David Paulino, heading from #Astros to #BlueJays in Osuna trade, was suspended 80 games last season after testing positive for a PED. Prior to that, he was HOU’s No. 3 prospect and No. 44 overall, per @MLBPipeline. Dropped to No. 23 on HOU’s list this season. Paulino was suspended 80 games last season for taking performance enhancing drugs. He was Houston’s No. 3 prospect prior to that. Perez is currently the Astros’ No. 10 prospect. Earning $4.6 million this season, he’s not eligible to become an unrestricted free agent until after the 2020 season.